DOI stands for Digital Object Identifier. It's a unique number/letter combination that identifies a specific journal article or book. It is much more common to find DOIs for journal articles than books. You can often find them in the article's database record or on the first page of the article. 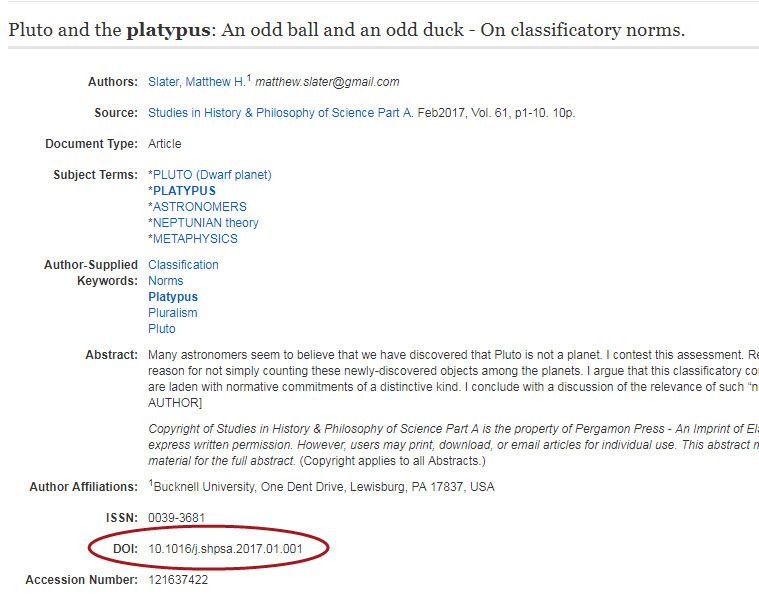 Most citation styles now require you to include a DOI if one is available. norms. Studies in History & Philosophy of Science Part A, 61,1-10.